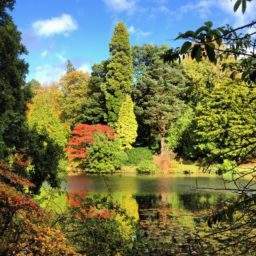 Join Forest Bathing UK for a woodland session of mindfulness in the 200 acres of lakes and gardens at Swinton Country Club & Spa. A great way to connect with nature and relax. Trees naturally give off wood essential oils, and when inhaled, they have a beneficial impact on the nervous system. Resulting in reduced stress levels, a balancing of mood disorders and an improvement to the overall quality of life. However, to get any benefit from nature, we need to do it mindfully. How many of us make an active decision to be fully present and in the moment? Through guided activities and exercises, this session will allow you to benefit from being more mindful in a natural environment. Once aware of your surroundings, you will become happier and more rounded as an individual, relationships may be strengthened, goals achieved and hurdles overcome.